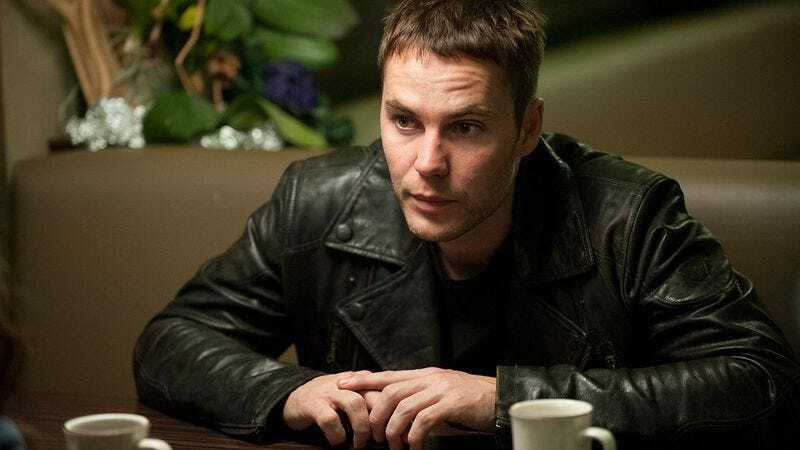 Combining the current popular fascinations with true crime and the 1990s in a way that hasn’t been since since—well, quite recently, actually—Taylor Kitsch has made a deal to star in an upcoming limited series dramatizing the 51-day standoff that led to the deaths of 76 people on April 19, 1993, in Waco, Texas. That comes from The Hollywood Reporter, which adds that Kitsch will play Branch Davidian leader and self-proclaimed “messiah” David Koresh, along with Michael Shannon as lead FBI negotiator Gary Noesner. Christopher “Ludacris” Bridges is in talks to play a member of Koresh’s apocalyptic church in the series, which will tell the story of the siege from different viewpoints on both sides of the conflict. For those of you who were too young to pay much attention back in the early ’90s, Koresh’s Seventh Day Adventist spinoff group the Branch Davidians had come under scrutiny for allegations of polygamy and sexual abuse of minors long before ATF agents attempted to raid its heavily fortified Texas compound in 1993. During that initial siege, Koresh’s paranoid followers forced the feds to retreat with rounds upon rounds of gunfire, leading to the aforementioned 51-day standoff. The situation was only resolved after the FBI launched tear gas in an attack that soon had the compound in flames and most of those inside—including Koresh—dead. Conspiracy theories began fomenting soon after. For those of you who checked out of pop culture sometime after the early ’90s, ever since Friday Night Lights ended in 2011, series star Kitsch has struggled to redefine himself as an actor, appearing in such high-profile letdowns as John Carter, Battleship, and, perhaps most deflating of all, the second season of HBO’s True Detective. He did show an affinity for tough guys shooting at each other in 2013’s Lone Survivor, though. The limited series, Waco, doesn’t have a network yet, but will be produced by Weinstein Television.